This all-black santoku knife has the classic santoku shape, but it doesn’t have the granton edge that is common (but not required) on this type of knife. The blade is made from a proprietary zirconia ceramic that is made only in Japan and is slightly shorter, at 5 1/2 inches, than average santoku knives. Some cooks might prefer the slightly shorter blade, while it’s not so much shorter than the typical 6- to 7-inch blades that it would hinder cooks who have used longer blades. This knife should be hand-washed. When the blade gets dull, the knife can be returned to the manufacturer’s facility in California for sharpening. There is no fee for the sharpening service, but the customer must pay for shipping and handling. The company also recommends its own electric sharpener which is designed for ceramic blades. 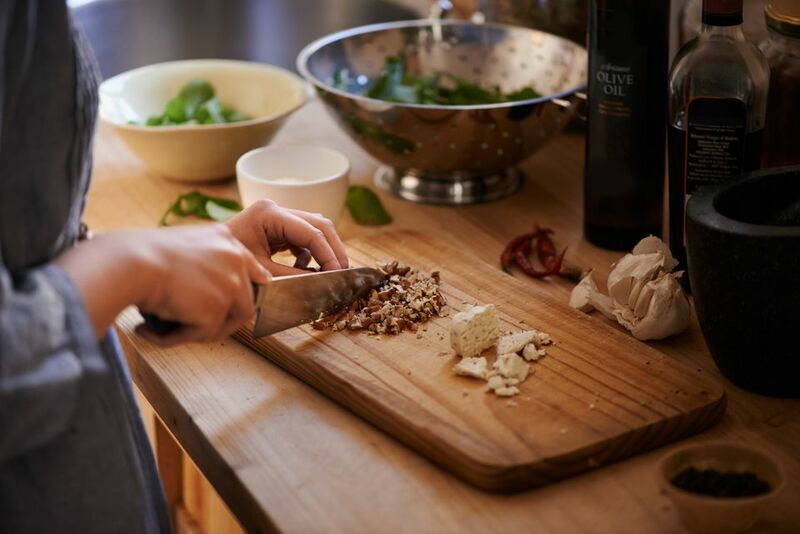 Ceramic paring knives are great for delicate tasks, like peeling tomatoes or making super-thin slices of vegetables for garnishes, along with all of the typical paring tasks. This piece is a bargain and comes with a handy sheath making it a good cooking knife for traveling. The high carbon stainless steel stays sharp over time and though it is dishwasher safe, hand washing is recommended to keep the knife performing well for many years. If you prefer a slightly longer chef’s knife, you’ll love this 8-inch knife and its cheerful green handle and razor sharp edge. The grip is designed to be comfortable in your hand, making slicing and dicing effortless. For storage, the knife comes with a sheath to keep it safe. A utility knife is the one you’ll reach for most often, since it’s the medium-sized knife in the block. Micro-serrations make this the perfect knife for cutting difficult produce with tough skins and soft interiors, like tomatoes, while it’s also great for cutting any other fruits, vegetables, and meats with ease. It’s also great for slicing your sandwich into wedges. This is a well-balanced knife with an ergonomic handle that will reduce hand fatigue during repetitive knife work. When this needs to be resharpened, you can send it back to Kyocera for free sharpening. A slicing knife is designed for, well, slicing. This is the knife you’ll turn to when you need to carve a roast. The long, thin blade slices easily through large boneless meats, whether you have a turkey breast or a beef roast, and whether you want thick or paper-thin slices. This blade is break-resistant during normal use but can break or chip if dropped on a hard surface, and the handle is designed to be ergonomic and easy to use. Not just for bread, this 7-inch serrated knife is also great for slicing large foods, like heads of lettuce or cabbage or slicing melons. The serrated edge slices easily through tough tomato skin or crisp bread crusts, then slides gently through the soft interior. The ergonomic handle reduces fatigue, while the lightweight and good balance make cutting nearly effortless. 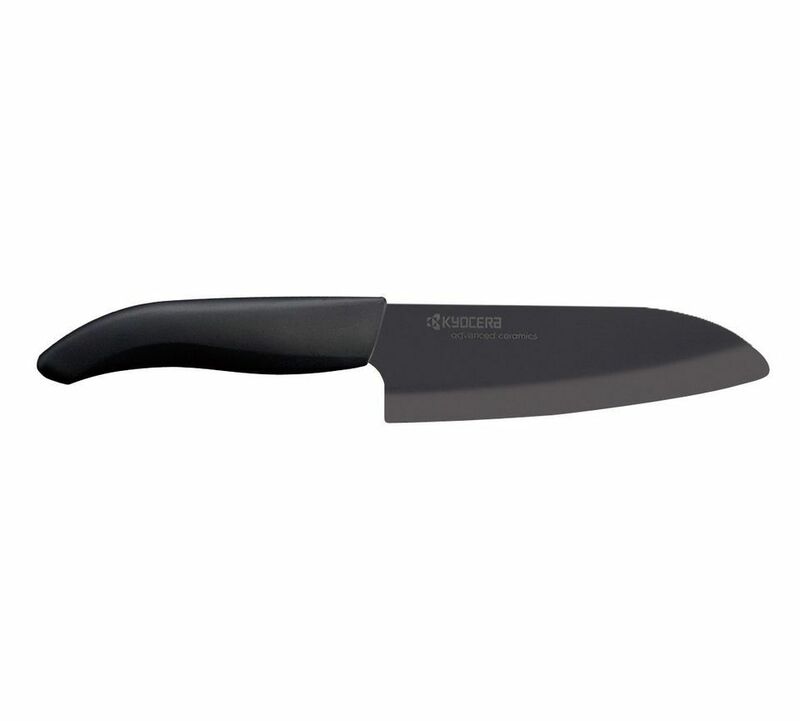 This knife can be returned to Kyocera for free resharpening when required.